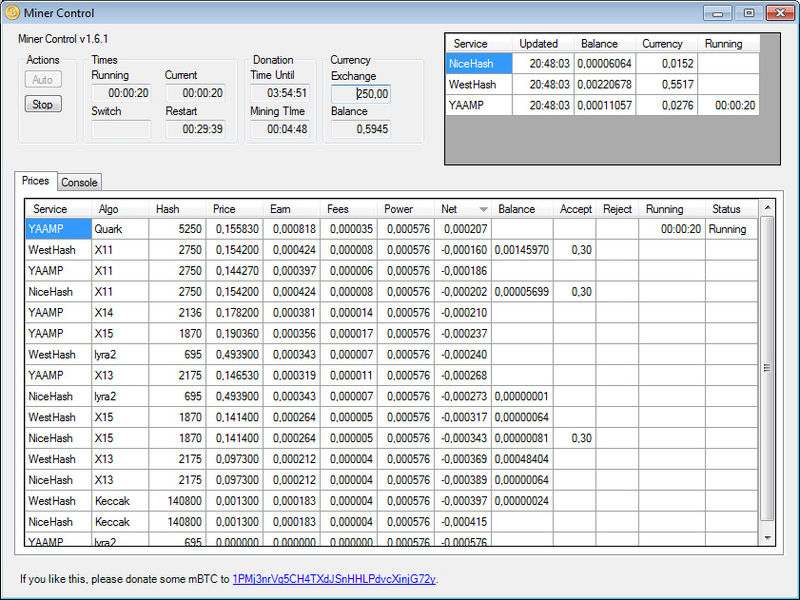 We have not updated our Miner Control based package for GTX 750 Ti GPUs for a while, so we have decided it is time to update it with the latest development – version 1.6.1 with an up to date ccMiner fork 1.5.31-git windows binary from SP (compiled for Maxwell cards with Compute 5.0 and 5.2 only). The GTX 750 Ti package is configured to work with NiceHash, WestHash and Yaamp pools, supporting the more profitable X11, X13, X14, X15, Keccack, Lyra2RE and Quark algorithms. We have temporary removed support for NIST5 as it appears to have some issues with the latest releases of ccMiner from SP. It seems that at the moment mining Quark is profitable on Nvidia GPUs as compared to other popular algorithms. You can download the package below with settings already set for non-overclocked GTX 750 Ti, if you are going to be using it on multiple card mining rigs you need to multiply the hashrate for the algorithms supported. The package will also function just fine on GTX 960, GTX 970 and GTX 980 cards where you would need to set the power usage and hashrate numbers for your respective hardware to get the correct calculations working. 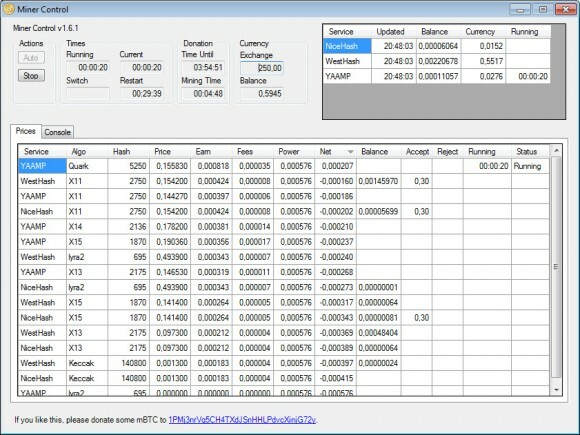 To be ready to use it you just need to update the account settings for each pool to reflect your BTC payment address. Do note that the default configuration that we have left is set to mine from time to time for the author of the software (Miner Control) as a donation alternative, but you can change that setting should you wish to. SP_ submitted a commit to fix NIST5. What coins use NIST5? Doesn’t seem to get much action on nicehash or miningrigrentals (and it was removed from YAAMP a while ago).